For a lot of people in Taiwan, you’re not celebrating Chinese New Year right if you’re not playing Mahjong. 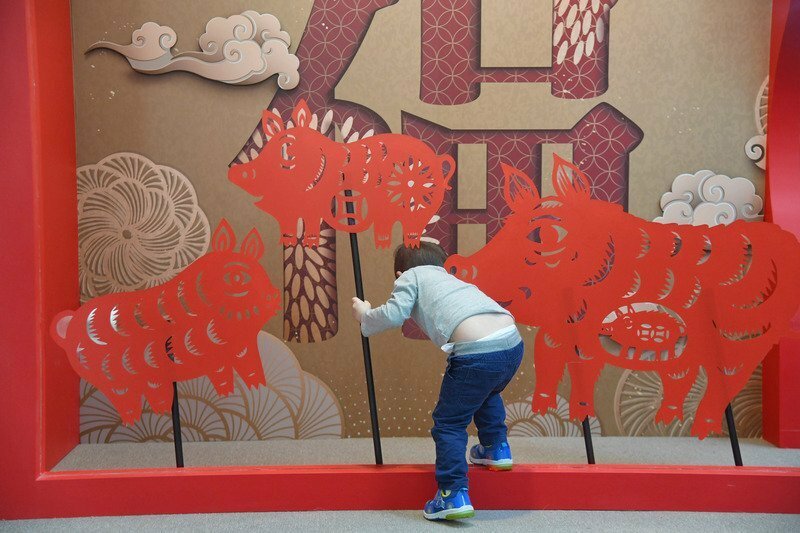 In today’s Chinese New Year Encyclopedia, find out why many Taiwanese love playing this game. You’re hearing the clank of Mahjong tiles as they rub and knock against each other on a square Mahjong table. Sitting at each side of the table, the four players place their palms on the tiles and move their hands in circular motion to randomly mix those tiles. If you didn’t know better, you’d have thought they were swimming, but indoor, on a table. So… what exactly is Mahjong? Well it’s essentially a game that involves lots of tiles. The objective of the game is to get a series of special tile combinations and you win. The game can be played anytime, anywhere, but it’s particularly popular during the Chinese New Year holiday. During this time, members of the extended family would traditionally convene at the grandparents’ place. While some people chat away on the living room couch, others would be sitting in another corner of the room at a square table. The players would take turn drawing Mahjong tiles as they touch base with one other, and conversations like these are likely to go down: So I heard you got a new job. How’s that working out for you? Or, your sister told me that you are moving to a new apartment. What’s the new place like? Mahjong is as much a form of gambling as it is a form of social activity. While you could win/lose money from playing the game, that’s not the sole purpose of the game. Quite commonly, the players see it as an alternative to, say, watching TV or whatever they do to kill time. So you see, money doesn’t always have to be involved in this game, for playing Mahjong is really just… some quality bonding. It’s important to draw the distinction between the traditional Mahjong that people play in many parts of Asia, and the Western Mahjong solitaire, which is a one-player game that’s essentially just matching tiles on a screen. The western version of the game is also quite fun, but if you want the authentic, Chinese New Year flavor of the game, then the traditional version is the way to go.